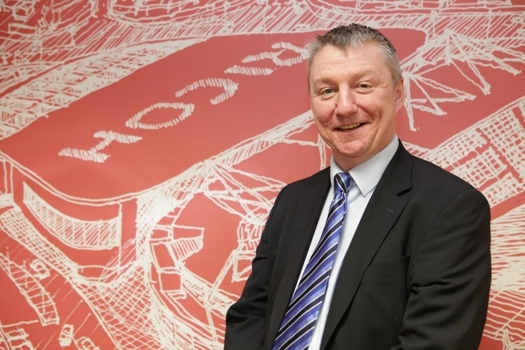 Ricoh Ireland Appoints John McBride as Business Excellence Manager. Ricoh Ireland has announced the appointment of John Mc Bride as business excellence manager. This is a new role within Ricoh's growing Irish operations, and his appointment reflects the company's commitment to setting the highest standards as a responsible, customer-oriented market leader for managed print and document services. McBride’s primary focus will be to manage Ricoh Ireland's quality management system and CSR division, as well as delivering a programme of continuous improvement across all areas of the business. With almost 20 years' experience in quality assurance and relationship-building roles, McBride has a wealth of expertise in responsible business management. He will work closely with customers, colleagues and partners to streamline internal and external processes, and to enhance the overall client experience. McBride holds a number of professional accreditations for project and process management, including Six Sigma and Prince2. Along with his extensive corporate experience, he is also a proud sportsman and for three years was a professional snooker player. He credits his early career for his ability to identify pressure points within a business and manage those challenges logically. Ricoh Ireland confirmed it is committed to achieving the highest levels of certification for quality management and currently holds the ISO 14001, ISO 27001 and ISO 9001 amongst others. As a socially responsible company, it added that upholds the highest standards across all aspects of the business. Last year, the company was accredited by Business in the Community Ireland with the Business Working Responsibly Mark for best practice achievements in the areas of corporate responsibility and sustainability.